Children, staff and families from Riverside Cottage Nursery in Blackburn, West Lothian have raised £2500 for their charity partner SANDS Lothians. The impressive sum has been raised through a variety of initiatives, including sales of the nursery’s own vegetarian cookbook ‘Free Range Eats’ as well as hand-made decorations and cards in last year’s Christmas shop. 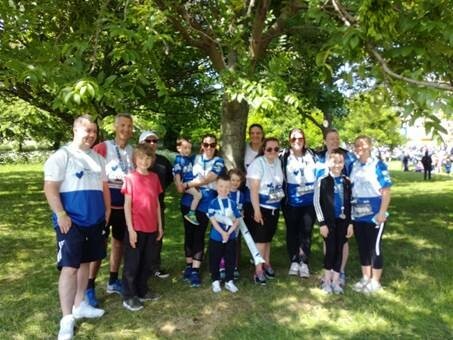 The kids also took part in Welly Walks and a large team of children, staff and parents ran in the Edinburgh Marathon Festival 2018. Nicola Welsh, Chief Executive at SANDS Lothians said: “We could not be more thrilled with the support and enthusiasm of everyone at Riverside Cottage Nursery. 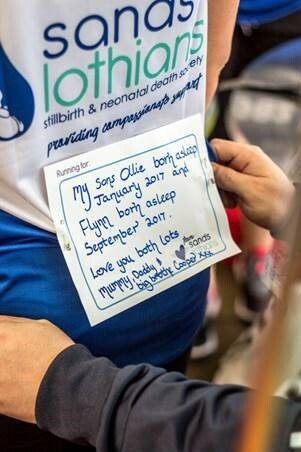 It is a fantastic total raised by this small, local business and the money will go towards providing compassionate care to local families, who have experienced the death of their precious baby. Later in 2018 Riverside will host a pop-up restaurant serving dishes from their digital Free Range Eats recipe book which can be purchased here from the SANDS Lothians website.